Home / Make up / The battle of the cushions foundations. by Tessaupdated on 12/03/2016 13/03/2016 1 Comment on The battle of the cushions foundations. Today i have a review and a comparison for you about the Yves Rocher pure light cushion foundation and the Lancome miracle cushion. That’s something different than you’re used of me. Both of them have pro’ and con’s. I have the Lancome one in the color 02 beige rose. And the Yves Rocher one in beige 200. The looks are quite similar both white with silver. The Lancome one is a little bigger. The product volume is 14 grams or 0.51 oz instead 11 grams or 0.38 oz of the Yves Rocher one. The Lancome one has spf 23/PA++ inside it. And the Yves Rocher one doesn’t have spf inside but has babassu seed oil and is paraben, perfume free. 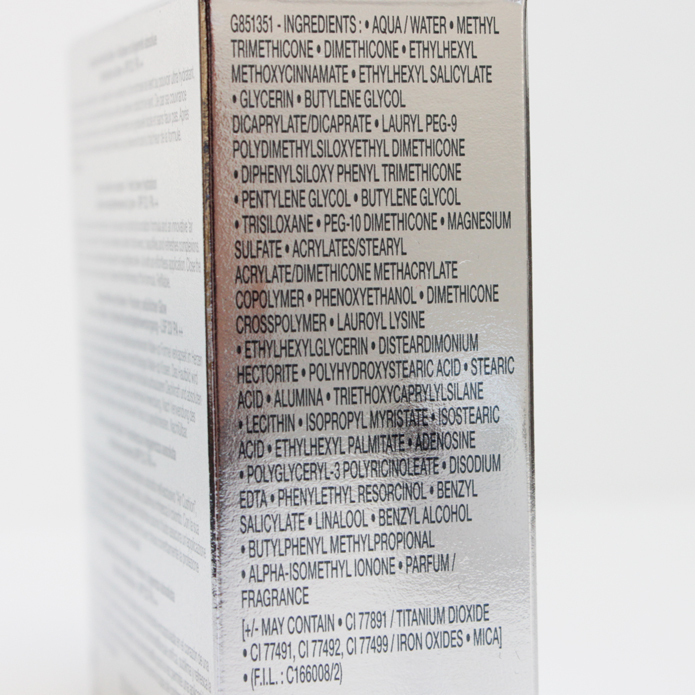 Below here are the two ingredient lists of the products. The prices are quite high. Yves Rocher one is €29.90 and Lancome one is €44.95. The refills are there only from Lancome for €33.95. So for the first purchase is the Yves Rocher one cheaper. But after the difference is only €4.05. Below here is a picture of the sponges after one week of use and after cleaning. The were still wet when i put them on the tissue and pressed them down. As you can see there is a large amount of product still left in the Yves Rocher sponge. So that’s is a let down for me. The sponge takes a large amount of my product but doesn’t put it on my face. The cushion of the foundations look pretty differed. The Lancome one has bigger holes in it to get the product out. Both of them you can flip over when getting the product out is getting harder. so the product is more at the surface. The smell of the Yves Rocher smells very like alcohol. But the Lancome one smells a bit flowery in a powdery way. Very Lancome like. The use is officiously similar but the end result is different. + medium coverage, pretty mat on the skin, has refills, smells good, sponge absorbs little product up in it self, lid can be used as mirror and feels fresh when applied on the skin. + price is less than Lancome, light coverage and gives the skin more of a glow than Lancome one. Personally i will choose the Lancome over the Yves Rocher one because there is more product to use, sponge works good and there are refills for. Next ArticleWhy are there silicone, SLS and SLES in my products?